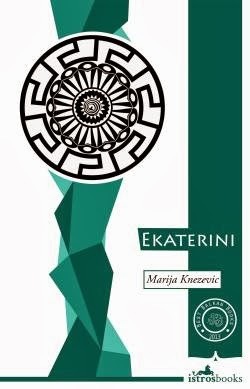 Marija Knežević’s Ekaterini (translated by Will Firth, e-copy courtesy of the publisher) is the story of a life both ordinary and extraordinary. While the tale is told by a young narrator, the undisputed star is her grandmother, Ekaterini. Born in Greece, but spending most of her adult life in Yugoslavia (then Serbia), she is a woman caught between two related, but different, worlds. The story is structured so that we follow her life and the events of much of the twentieth century. Starting in Greece with Ekaterini’s parents’ courtship, the novel gradually introduces both sides of the narrator’s family, merging the Greek and Serbian strands until we finish up with the birth (and life) of the grand-daughter. Despite this, we’re never in any doubt that it’s really Ekaterini’s story. Don’t be fooled into thinking that Ekaterini is a depressing book though. The old woman eventually manages to straddle the divide between the two countries, and by the end of the book, we have a woman who radiates calm, enjoying her split personality. It’s an attitude she passes on to her grand-daughter, who also manages to accept life as it is (in a way Ekaterini’s daughter can’t). The contrast with the insular American friend who comes to visit Greece at the end of the novel is certainly a striking one. This special bond between Ekaterini and her grand-daughter is perhaps what the writer wants to leave us with at the end of her story. It’s a simple story, touching at times, but while I enjoyed it, I did have some reservations. It’s a touch too simple in places, and with little plot, I found myself wishing for a more complex style of writing which simply wasn’t there. The prose was very plain, and sandwiched between George Eliot’s Romola and Andrés Neuman’s new book Talking to Ourselves (the books I read immediately before and after this one), Ekaterini didn’t really come off that well. It’s a book which will provide an enjoyable couple of hours – I’m just not sure that it will linger in the memory for that long.